Luxury Everything was incredible. The only thing that was a little disappointing was the need for more towels. Apart from that we loved it. Tired of KPIs, ROIs and hearing Brian from accounting bang on about his weekend plans? 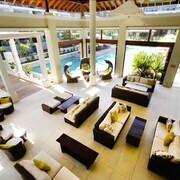 Ditch work for some R&R in Casuarina — and don't even think about roughing it for a second. We have 12 fab hotels within 5 kilometres of the centre that'll keep your bank balance happy (and you far away from Brian). Not a morning person? No need to worry! Hotels in the city centre such as the Peppers Salt Resort & Spa and Santai Retreat at Casuarina Beach allow you a few sleep ins. 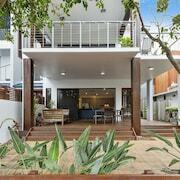 Coolangatta, 15 kilometres away from the heart of Casuarina, has plenty of accommodations. The Reflection on the Sea and Reflection Tower Two are both worth checking out. 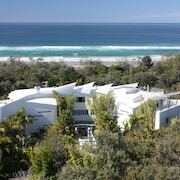 Tweed Heads, 13 kilometres from the centre, is yet one more option for accommodations. Want us to make it easy? The Tweed Ultima and Bayswater Tweed are our top picks. Want more options? 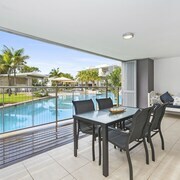 The Ultra Broadbeach can be found 35 kilometres away from the downtown area, and the Peppers Broadbeach is 35 kilometres away. 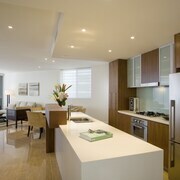 We'd also recommend the Carmel by the Sea and the Sofitel Gold Coast Broadbeach. The first is 35 kilometres away from the center, while the latter is 35 kilometres away. Always on the hunt for your next unforgettable adventure? 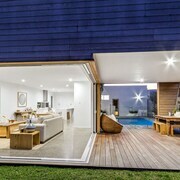 You'll be happy to know that the wider New South Wales region has some spectacular things to throw yourself into as well. Hone your landscape photography game by checking out some of New South Wales' stunning rural landscapes and beaches. History museums are a few more tourist hotspots worth whipping out your camera for. If the sun is shining (or even if it's not), you could also have a whirl at some popular local activities like snowboarding, skiing and mountain climbing. 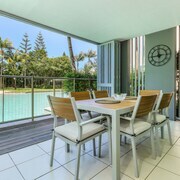 It's well known that Aussies just love to relax, so consider hanging round a little longer and going to the Brunswick Picture House and the North Byron Parklands in Yelgun, 20 kilometres to the south of Casuarina. The Ocean Shores Motel and Crabbes Creek Cottages are just some of the great short and long-stay options here. 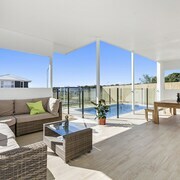 25 kilometres to the west of Casuarina you'll find Eungella, which is home to the A View of Mt Warning Bed and Breakfast and Mt Warning Bed and Breakfast Retreat. Should you choose to stay in Eungella, be sure to visit the Tweed Regional Gallery & Margaret Olley Art Centre and the Tweed River Regional Art Gallery. 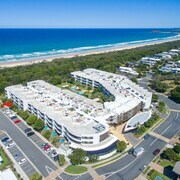 Coolangatta Airport sits 16 kilometres from the centre of Casuarina. If you're just about ready to drop after your flight, you'll be over the moon to know that there's some awesome accommodation nearby. The Oceanside Resort and the Golden Shores Airport Motel are just a short trip away.